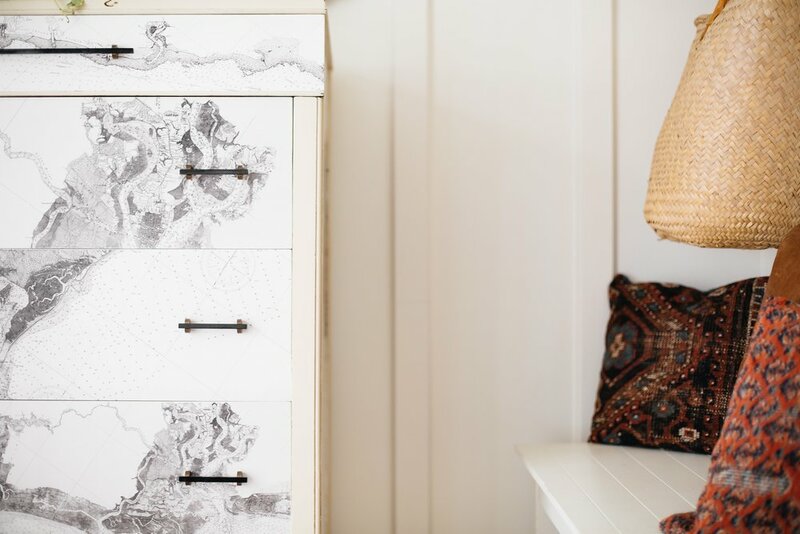 Knack Studios’ dresser DIY so charmed and inspired me that I actually reached out to Knack Studios’ founder, Barb Blair, to inquire about our own potential collaboration. 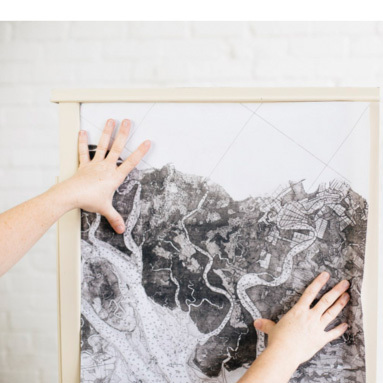 Using my vintage nautical charts, I creating a color-matched series of South Carolina coastlines and had it printed on Spoonflower’s giftwrap paper. 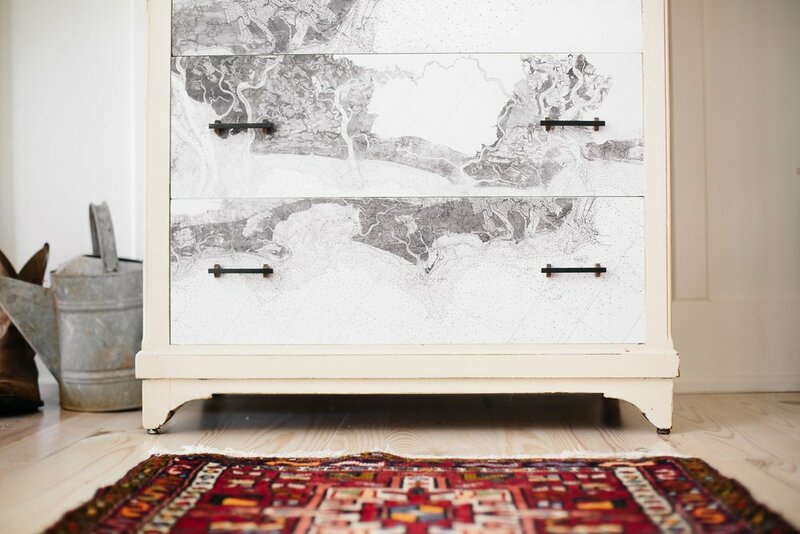 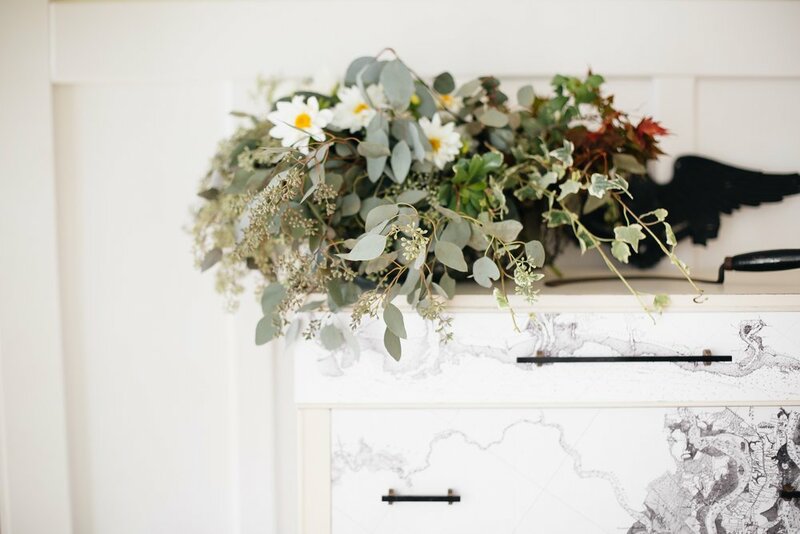 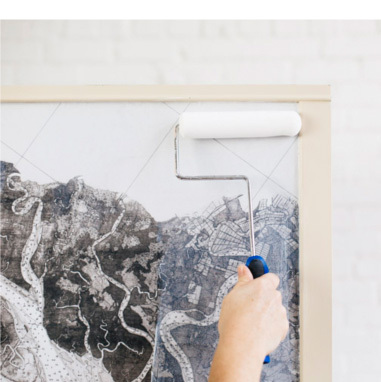 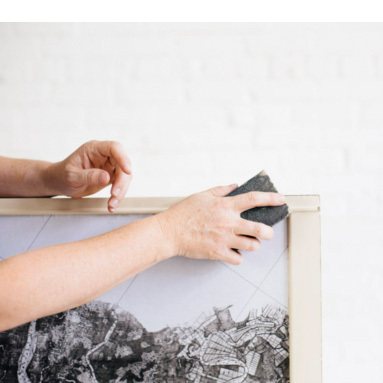 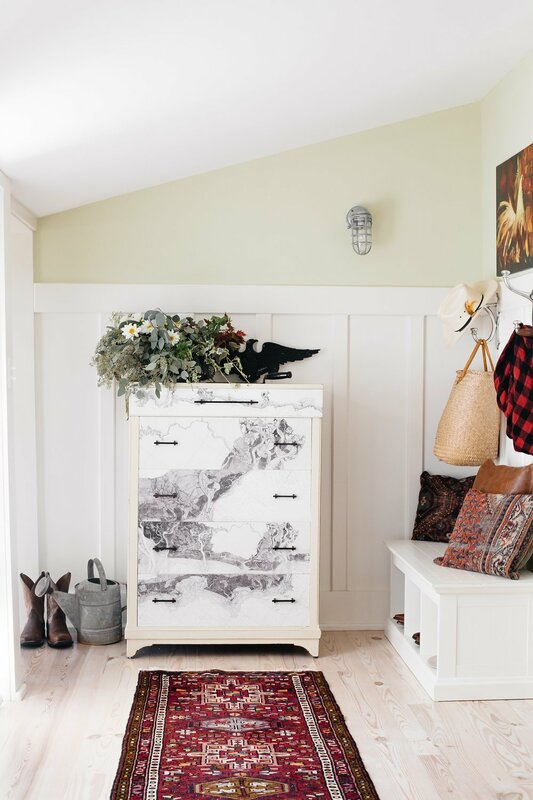 The resulting map-papered dresser project we worked on together, Beaufain (below) was featured in her second book, Furniture Makes the Room.